Design and deliver push campaigns that truly move the needle on the mobile metrics that matter to you. Retain more user. Increase engagement levels. Enjoy greater mobile revenue. Swrve supports A/B testing of multiple push variants at the touch of a button. There’s no longer any need to guess what works. With Swrve - you know. 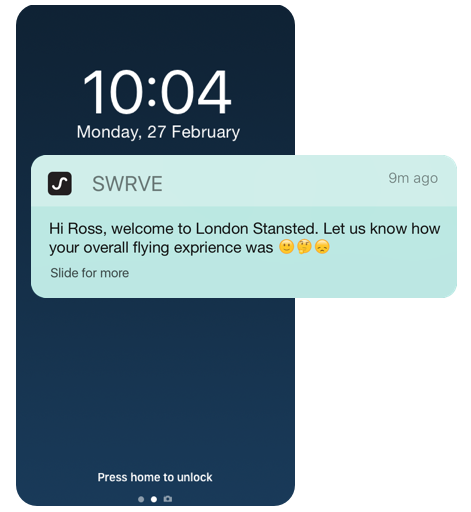 Swrve delivers push within an integrated mobile engagement platform, with push working alongside in-app campaigns, surveys and even optimization and personalization of the native app experience.